Wolf Consulting, LLC is devoted to providing reliable Managed IT Services to small and mid-size businesses who want to improve productivity and profitability. Our comprehensive Managed Services can give you the peace of mind to stop worrying about your Information Technology and get back to achieving your business goals. With outsourced IT support services from Wolf Consulting, you’ll get fast, friendly, dependable support, from a local team of experienced professionals, at a predictable fixed monthly price. 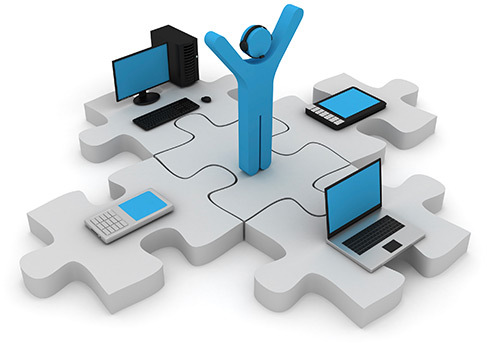 We can be your IT staff or we can supplement your internal IT staff in a number of ways. Whether you’re looking for computer network support, backup and disaster recovery services, helpdesk services, IT consulting, or IT security services, our team in Pittsburgh is here to help. By combining our people, our processes, our 30 years of experience, our tools and technologies, and our WolfCare IT Managed Services Plan – our clients get better results from their Computer Networks and Information Technology. Free yourself and your staff to focus on your business and to do what you do best, while the pros at Wolf Consulting manage your computer technology. Get better results by combining the broad experience and expertise of outsourced IT support from Wolf Consulting, with the knowledge and experience of your in-house IT staff. See what other business owners and managers are saying about outsourced computer network support and IT consulting services from the team at Wolf Consulting. If so, call the experienced, certified IT professionals at Wolf Consulting, LLC. Small and mid-sized businesses rely on their computer systems and Information Technology (both on-premise systems and cloud systems) to keep their businesses running. But oftentimes computer technology is a dual-edged sword: It either significantly contributes to the success, profitability, and efficiency of your organization - or it ends up being a huge headache and drain on your resources. As a leading Pittsburgh managed service provider, we’re committed to helping organizations achieve productivity through business IT services they can trust. Wolf Consulting, LLC has consistently been honored as a Top Managed Services Provider and a Best Place to Work in Western Pennsylvania. We’ve proudly served the Pittsburgh area for more than 30 years and look forward to continuing to exceed our client’s expectations and maintaining a great workplace for our employees.